I assume you, like everybody else, have already picked this up. I've been thinking about my new group's adventures in Waterdeep, and one thing I need to have ready is the possibility of their heading into Undermountain. Almost all my resources are for Waterdeep itself, and I own nothing of Undermountain. But then, its long and varied history in setting feel like permission to me to make it my own, putting almost any and everything in this sprawling megadungeon. I'll start with In Search of the Unknown. 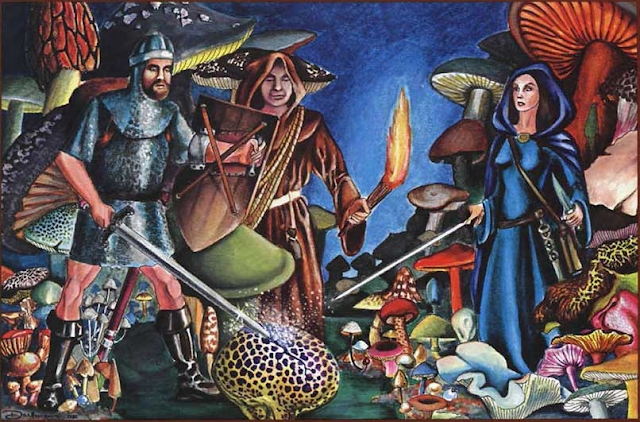 I really like module B1, and can easily imagine Zelligar and Roghann as heroic adventuring partners of Waterdeep who disappeared years ago, leaving behind their lost stronghold Quasqueton in Undermountain. So, what would you adapt from old modules to put in Undermountain? I'd love to hear. No, not Big Friendly Giants, although that would also be cool. Fine, I left the "R" out. 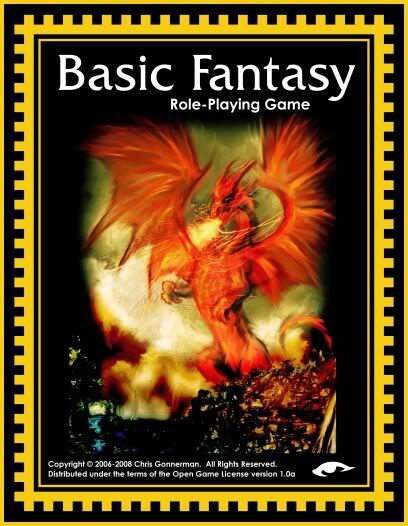 Patrons of publican Tenkar's fine establishment will know of his upcoming gathering for appreciators of Basic Fantasy Role-playing Game. This red-headed stepchild of the OSR is the product of the generous labors of Chris Gonnerman and is supported by the ongoing dedication of its fans who put out a considerable body of supplemental material. All of this is available for free download at the site linked above, Basicfantasy.org. This game has been on my radar for a while, though I've yet to play it. 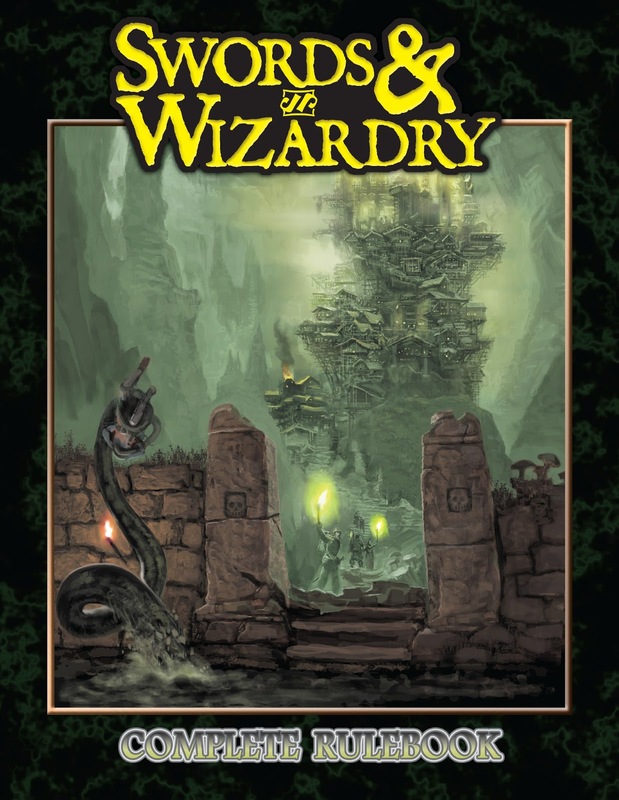 One of these days I'm going to give it a good going-over, to see if my own home-brewing project of B/X, Holmes, S&W -- together with what I appreciated about AD&D and 3rd era gaming -- is either reinventing the wheel or has something to learn from Basic Fantasy. In any event, I look forward to seeing what tomorrow will bring, and hope you too will take a look and join me in appreciating the appreciators! No, not Shakespeare's, but Elaine Cunningham's. 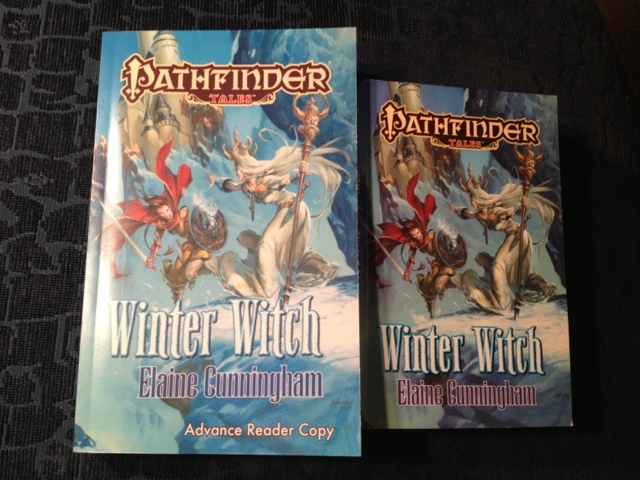 Recently the recipient of a less-than-pleased review, I am happy to report that this is not the case with the author's Winter Witch. In fact, I am enjoying this book even more on the second read. And check out the awesome Advance Reader Copy with the beautiful Jesper Esjing cover! I won that from an Atomic Array contest, and have been meaning to give it to my daughter ever since. Yeah...it's not easy letting go -- maybe after this reading, since I did the first one out of the mass market paperback that came with my subscription. I'll wait to give my final grade once I finish, but for now, I'm loving the setup and lots of little details that I did not notice in my first reading, when I gobbled the story up. I can't help but think that there's a lot of little Easter eggs and nods in here. Oh, and some fellow named Dave Gross apparently chipped in. Maybe you've seen him around. So, thanks to this Pathfinder Tale, I'm coping with all the crazy warm weather down here in South Texas that keeps it from feeling like winter. On the finished front, I've now read through the three Waterdeep books in the first Ed Greenwood Presents omnibus. Blackstaff Tower, Mistshore, and Downshadow. 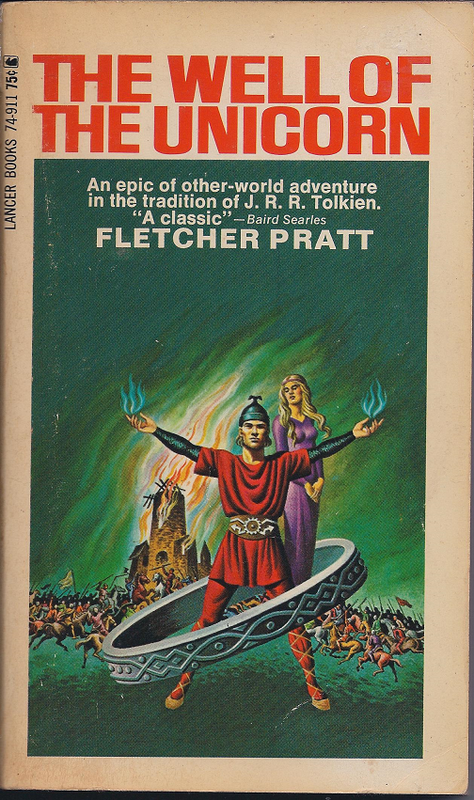 All are quite enjoyable, in spite of the setting later than I prefer and all the Spellplague business (more prominent in the last two novels). I'm not sure I'm going to grade these. 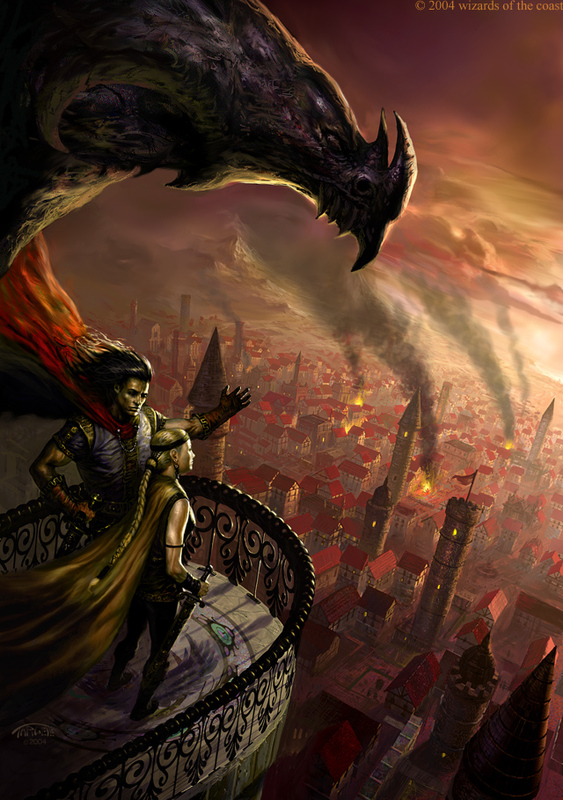 For now, let me just say that it is hard to choose between Blackstaff Tower and Downshadow, but all were pretty strong on character, which seems to me one of the pitfalls of the genre, and my annoyance with timeline and Spellplague were overcome by the characterization and plots. The latter, while not particularly ambitious, ranged from serviceable to more than serviceable. 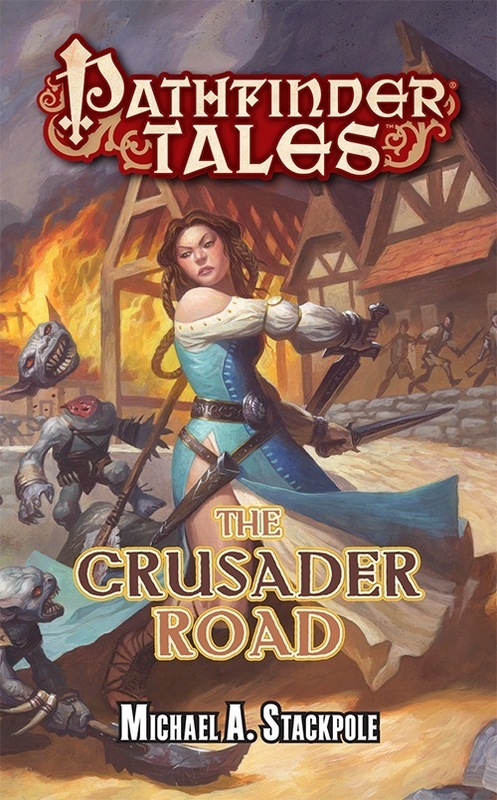 So, I'll be on the lookout for the second Waterdeep series. All fodder for future Tomeful Tuesdays. Happy reading! So, we've now had session number two. Maybe it's too early to say, (how's that for being superstitious? ), but having a regular gaming group again is Awesome. 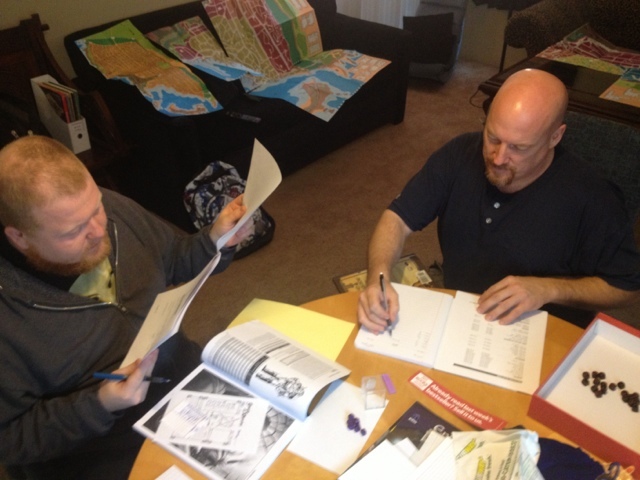 A fun time was had as we got the S&W Waterdeep campaign from generation to action. I decided that since Waterdeep is completely new to the guys, maybe it should be fairly new to their Elf Druid (home rule) and Human Monk as well. These two devotees of Mielikki will be based in Our Lady's Hand's in Sea Ward, but how about a little backstory to explain how they got there and let the players identify with their characters' sense of discovering the City of Splendors? 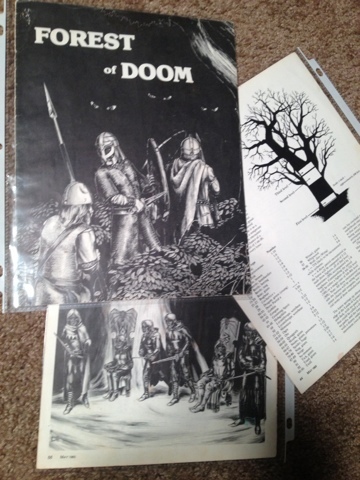 The idea actually came from a random Dragon Magazine article that somebody had ripped out and put inside the City System boxed set I bought: Forest of Doom (Scott Butler, May 1983). In it, there's a giant tree in the middle of an evil forest that is a fortress of drow and their quaggoth and bugbear minions. I relocated the tree to a sacred grove in Ardeep and made it the home of Theophan the elf druid and Bro. Axthelm the human monk. Mielikki's boys are sent on a mission to look for a missing member of their community. They find his body strung up, flayed, and disemboweled outside of the ruin of an old mill. Now, I didn't like the idea of drow having an army of bugbears, as I like the idea of bugbears being solitary, spooky murderers. But in addition to a force of hobgoblins, I could see the drow having a bugbear or two tagging along to join in the mayhem. I gave a 75% chance that it is was a single bugbear and a 25% that there were two. And that's how there came to be two bugbears who took advantage of an experienced but incautious ranger who lived in forest that had not seen any such dangers in his lifetime. The guys saw signs that the mill was occupied, but they could have tried to make up with the body without waking the nocturnal bugbears. Instead, they noticed the signs of occupation and decided to find out who was in the mill. When their calls for the occupants to come out did not meet with success, they set the old mill on fire. The fight that ensued was tough. I decided that, given my portrayal of bugbears, I'd do a morale check for one of them to see if it fled, having been surprised in its sleep and trapped in a burning building. One bugbear was plenty tough for a first level monk and first level druid. ( I was using the stats from the original Monster Manual and the morale score from B/X.) A series of great rolls from the druid who grappled the bugbear from behind and terrible rolls on the part of the bugbear who fell and then couldn't break the grapple allowed the monk to survive after a pummeling from the bugbear, and the two of them finally finished him off. It was bloody and exciting. The duo then headed back to the tree, arriving in time to discover witness the final scenes of its fall to the drow siege. They began the long, hard trek to Waterdeep in their diminished state, setting the stage for the rest of the campaign. Thus ends, I hope, my gaming drought. And I got a guy in his forties who hadn't played since college back in the game and a new player inducted into our hobby. I hope your rambles of late have been as good! 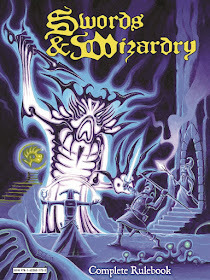 Extra-challenge: Any body have any suggestions more inspiring as a name for the campaign than "Swords & Wizardry in Waterdeep"? Or am I over-thinking it? Hello and welcome back to Frightful Fridays! This image once again thanks to Flash, who pointed it out to me shortly after I started this feature 3 months ago. Sometimes it takes a while for inspiration to strike, but an idea started to form thanks to an image that Theodric called to my attention a couple of weeks ago (one I haven't featured yet). Here is the gullion, an intelligent aberration that likes to conceal the fact it can fly so it can launch a surprise attack against those it deceives. I hope you like the gullion, and I'll be back next week with another Frightful Fridays! installment. This octopus not only has fleshy wings,bird-like in appearance,allowing it to stay aloft, but it also has a wicked gleam of intelligence in its otherwise black, expressionless eyes. Burning Ink (Ex) A gullion can emit a 10-foot-radius sphere of ink once every 1d4 rounds as a free action. This ink deals 8d6 fire damage to every creature within the sphere (DC 23 Reflex save for half). The ink also provides total concealment in water, and persists for 4 rounds (only dealing the fire damage once). Surprise Flyer (Ex) A gullion attempts to conceal its wings from its opponents, hoping to lure them into a false sense of security. Once per combat encounter, it may attempt a Bluff check, opposed by a foe’s Sense Motive check. A character who previously encountered a gullion, or one who succeeds at a C 26 Knowledge (dungeoneering) check, gains a +4 circumstance bonus to his Sense Motive check. If it succeeds, it can take a full-round action to make a single tentacle attack against the flat-footed AC of a foe within range of its fly speed. Additionally, Bluff counts as a class skill for a gullion. Created by dread krakens millennia ago, gullions delight in fooling victims who believe being shipboard or land-bound protects them from obviously aquatic creatures. This vile creature measures 14 feet in length (including its massive tentacles) and weighs one ton. While a gullion is subservient to its dread kraken creators, it still has a great deal of autonomy and always enjoys the missions it executes for its masters. 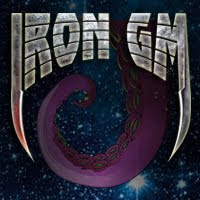 These missions usually involve the disruption of shipping lanes and other mayhem against waterborne humanoids, ultimately to coerce those humanoids to provide tribute—in the form of treasure or sacrifices—to the gullion’s masters. Oftentimes, a gullion oversteps the parameters of its mission and ends up slaughtering the ship’s crew or scuttling the ship. No one knows what sort of punishment, if any, a dread kraken doles out to an overenthusiastic gullion. Dread krakens provided gullions with the ability to procreate naturally, but the gullions’ subservience passes on to their offspring. One of the creatures kills a large marine creature and deposits two to four eggs in the corpse, and another gullion fertilizes the eggs, which become live gullions in a year’s time. An average gullion specimen lives for close to 200 years and rarely has to worry about any natural predators. A recent trip to HPB (15% coupon firmly in hand) found the two above books: a Zelazny I had never heard of (which worked out well last time when I found Changeling) and the Dungeoneer's Survival Guide. 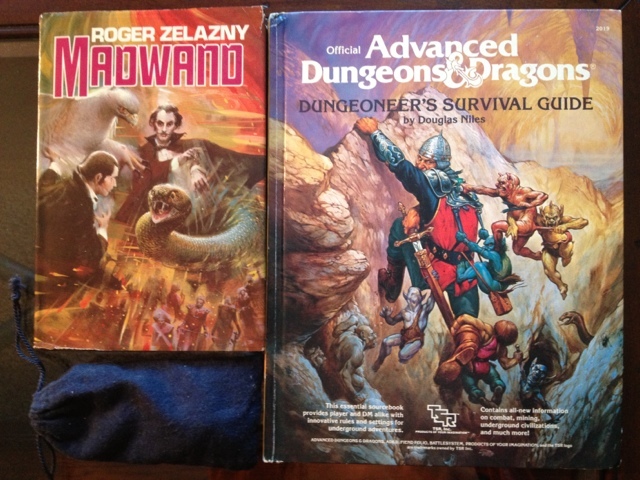 I didn't have the latter back during my AD&D days, and it was a good deal to expand my collection. It also may provide some inspiration for Undermountain in my Swords & Wizardry in Waterdeep campaign. Happy hunting, bibliophiles, and may all your Tuesdays be tomeful. There are times when one takes joy in giving a bad review: when one feels oneself or something closely connected to one's self wronged by the author; it's a sort of joy in holy destruction. But I doubt that anyone of goodwill who has had interactions with Ed Greenwood and Elaine Cunningham could enjoy delivering a bad review of one of their books. Their interactions with me online -- just one fan among so many -- shows them as gracious as they are imaginative. So I've been in no hurry to write this review, and even thought about not writing it. 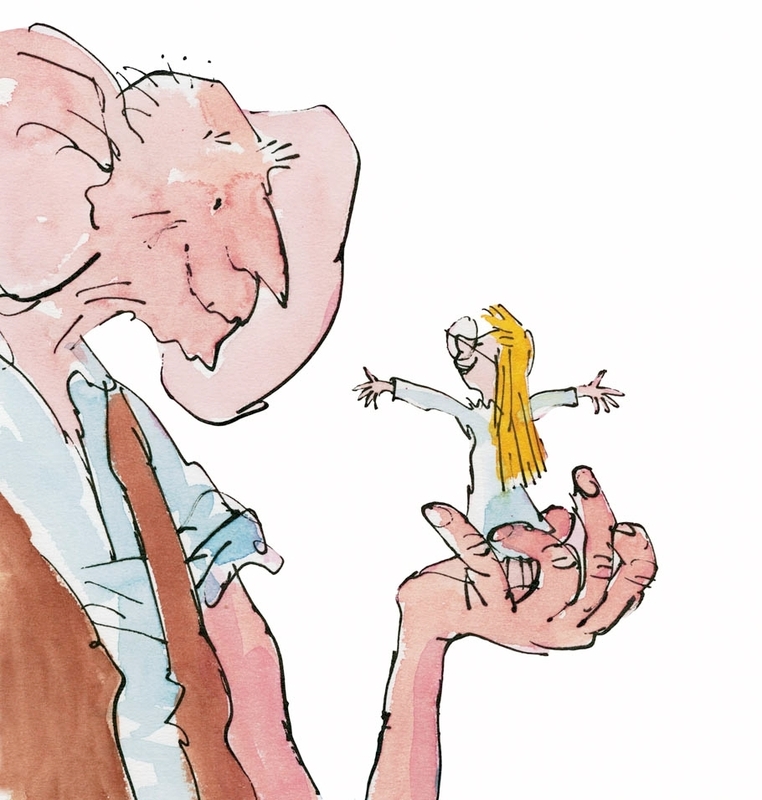 There's a special kind of pain as a reader when one has gotten drawn in by a book and seduced by its attractions, only to find the ending disappointing. City of Splendors paints the best portrait of Waterdeep that I have found in fiction so far -- even more so than Cunningham's enjoyable first two Songs & Swords novels. I cared about the characters. The villains were interesting. I ogled the setting like a hungry tourist. What soured me on the book was the twist ending, which I found unbelievable on the level of characterization, as well as a bait-and-switch of my readerly sympathies. To compare it to the two novels I just mentioned, it has a lot more going for it up to the point where two of the main noble characters switch identities, but this critical misstep means that, as a whole, it squanders the advantage it has for the majority of the story on the surprise twist. 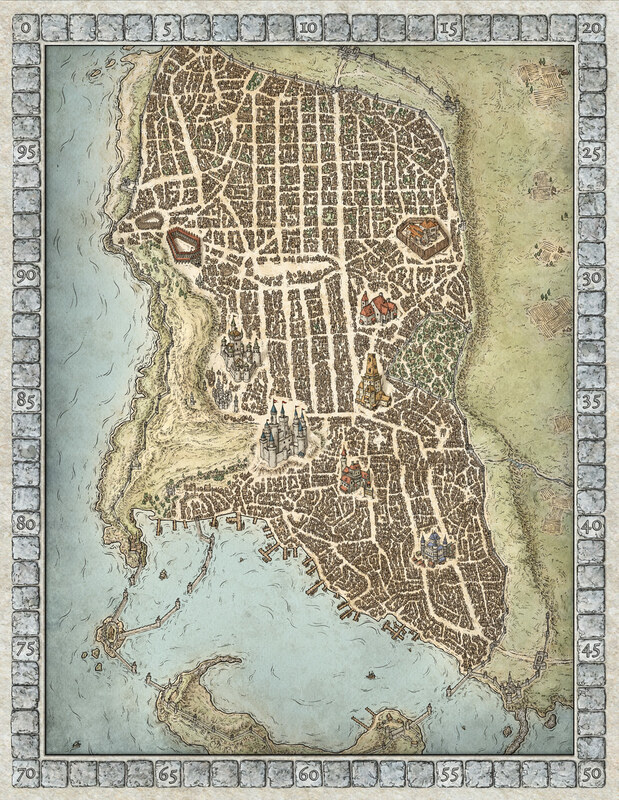 While I will continue to recommend it as a introduction to Waterdeep, it will be with the warning that an unpleasant twist lies ahead to soften the jar the reader will suffer. A denouement that undoes so much of what the novel previously accomplished must greatly effect my assessment of it as a novel. Since I can still see a use for it apart from plot resolution, I will soften the harshness with which I grade it. This Mythopoeic Monday sees post #400! Huzzah! 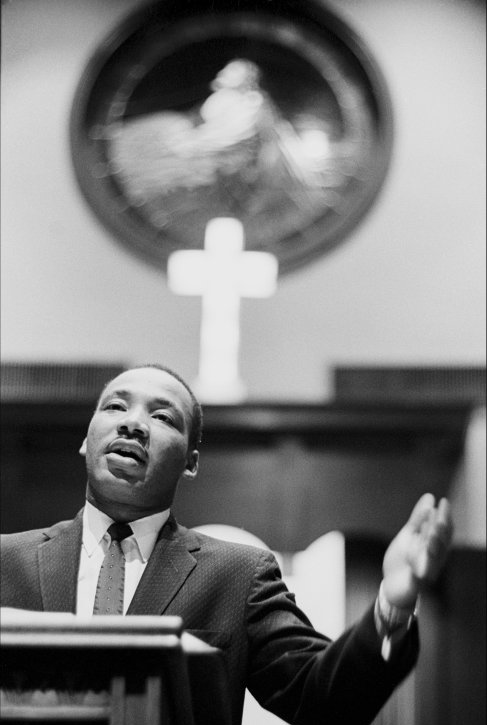 In honor of Martin Luther King Jr. Day, it is fitting to have an explicitly religious posting today. A friend of mind recently directed me to three videos on Penny Arcade TV. In my professional work, I've given a lot of consideration to the issues around faith and rationality, and I've witnessed a lot of close-minded vitriol from those who are convinced that they know what, for example, science and religion are all about, and are unable to entertain any challenging or broadening of the mind. So I was impressed at what the folks at PATV put together, but not as surprised as they were by the response their videos garnered. So for a very good perspective on what faith is, on the relationship between faith and science, and for some starting points for consideration of how one includes these in one's gaming, check out these videos. Though the videos are made with an eye towards video games, they can just as well inspire your thinking about religion in your RPG. Welcome back to Frightful Fridays! This not entirely frightening monster (in fact, this is the first Good monster I've done here) comes courtesy of a find by Theodric the Obscure, who knows of my weakness for small dragons. These tiny dragons didn't quite fit the drake design space, so I searched around for another name for dragons and stumbled across "kaida" (Japanese for "little dragon"). 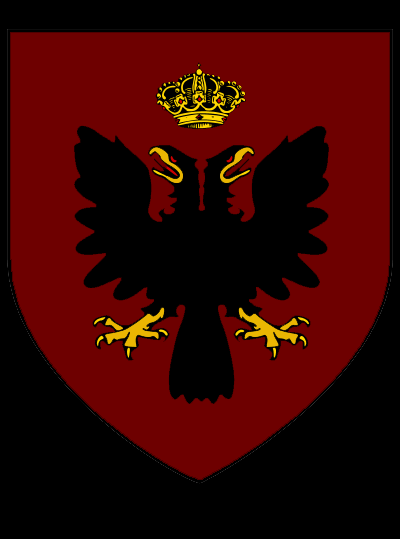 With that, I've got a class of dragons that a group of powerful spellcasters created (or perhaps called on some powerful curse to enslave chromatic dragons) to protect magical and artistic creations--books, pottery, scrolls, and even artfully crafted shields and weapons. I definitely plan to revisit these dragons in later Frightful Fridays! installments, but, in the meantime, I hope you like this week's monster. What looked merely like an illustration of a juvenile blue dragon peels from the page, inflates into a three-dimensional dragon and breathes an incongruous blast of frost. Languages Auran, Celestial, Common, Draconic; telepathy 60 ft. Breath Weapon (Ex) A page kaida has a breath weapon that varies by individual creature but has one of the following four effects: 1d6 acid damage in a 30-ft. line, 1d6 cold damage in a 20-ft. cone, 1d6 electricity damage in a 30-ft. line or 1d6 fire damage in a 20-ft. cone. The kaida’s breath weapon deals no damage to a work it protects (see one with the page). 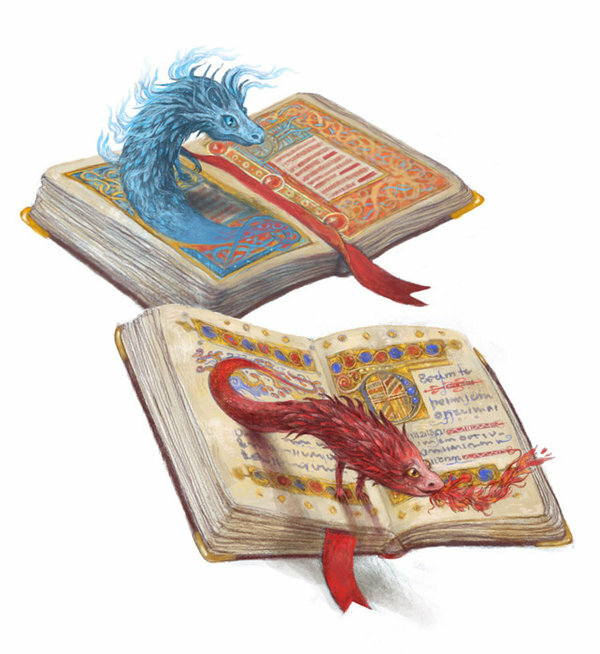 Emerge from Page (Su) When a page kaida is within a book or scroll under its protection, it gains a +8 bonus to its Stealth check. If the kaida gets to act during a surprise round where it emerges from its page, it can make a full attack or use its breath weapon. Magical Sensitivity (Su) A page kaida has +4 racial modifiers to Knowledge (arcana), Spellcraft and Use Magic Device checks. It can also cast detect magic at will. One with the Page (Su) As a full round action, a page kaida can merge with one of the works it protects, where it becomes an illustration on the page. The dragon has a +10 insight bonus to any Knowledge checks related to the works it protects, and it may make these Knowledge checks as if were trained in the skill. If the kaida inhabits a spell scroll, it may cast the spell on the scroll once per day at the spell’s minimum caster level. The kaida can attune itself as the protector of a number of books and/or scrolls equal to its Hit Dice, and it requires a week to attune itself to a new work. The most common protector kaida, a page kaida loves the written word and strives to protect it from natural and humanoid-made mishaps. It may appear to be a miniature version of a chromatic dragon, with an oft-time mismatched breath weapon, but it is quite friendly...unless someone threatens its protected works. This tiny dragon measures 8 inches from snout to tail tip and weighs 10-15 ounces. While a page kaida prefers spellbooks to any other book, it settles in nicely with any written work. Bonding with a book or scroll keeps the kaida sustained for its relatively long life of 200 years, but an “unbooked” kaida dies if it cannot find a work to bond with in two months. An individual kaida can spend its entire life with one or two written works and will essentially sleep while they are undisturbed. Forgotten libraries might contain dozens of slumbering page kaida that will awaken when someone finally peruses their protected books. A kaida initially acts standoffish, but it will yammer on about material it knows if someone shows any interest. A spellcaster can choose a page kaida as a familiar. The spellcaster must be at least caster level 4th, have the Improved Familiar feat, and provide a book or scroll worth at least 200 gp for the page kaida, which will attune to the book or scroll as one of its protected items. I've been mulling over eliminating anonymous commenting with the constant waves of Spamments I get for some time. The recent spat of commercials and LOLcats have convinced me that this is a necessity for sanity's sake. Sorry to my friends and readers who find signing into Blogger a pain. Hopefully, changes to Blogger will at least have eliminated problems in signing-in and folks will live with the extra hassle. Also, thanks to my pals who came riding to my rescue. The New Game is S&W in Waterdeep! The Great Drought of Roleplaying that dominated the last half of 2012 seems to be coming to an end. One former member of my college DM's group, who left school right before I came, finally got to together with me after moves on both our parts and a new player -- a new friend who's wanted to learn to play for years. I chose Swords & Wizardry Complete as our rules and we spent our first session creating four characters. We generated our characters using the manipulatives method of Rolling Lots of Dice. My hard copies sport the very nice, more modern-looking Rick Sardinha cover. What will Theophan the Elven Druid** and Axthelm the Human Monk get up to in their service to Mielikki in Sea Ward? 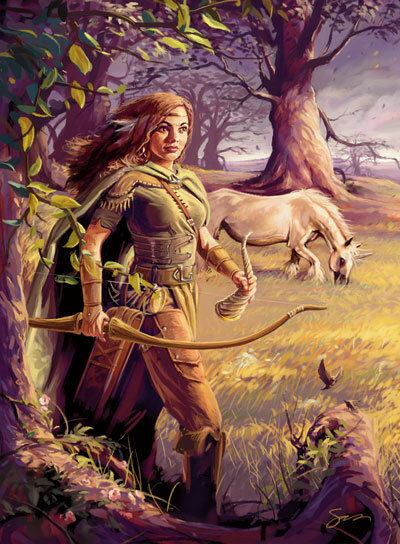 I imagine enough trouble that I'm making an NPC female (currently no-name) Half-Elf Ranger from the shrine of The Lady's Hands to add a little muscular support to their endeavors. If the monsters get past her, maybe Theophan's ratter will buy them a little time. And if one of them dies, who will be the first of the second string PCs to join the fray from the South Ward? Ragnar the Beard, Human Fighter or Beebo Lightfoot, Halfling Fighter? I trust our bi-weekly game will reveal these mysteries in exciting ways in the weeks to come. All of us are quite stoked. Let the games begin! * I'm not going with the Finchian interpretation of alignment presented in S&W:CR. ** Okay, I had to mess with the rules more than once. I refrained the most I could! 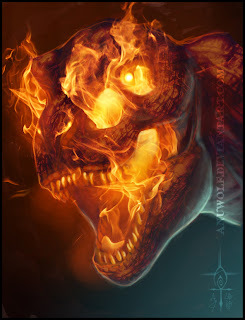 This week's entry started with an awesome illustration of a fire-infused dinosaur that my friend Patrick linked. I put that on the back burner, since I worked on a dinosaur-themed monster recently. 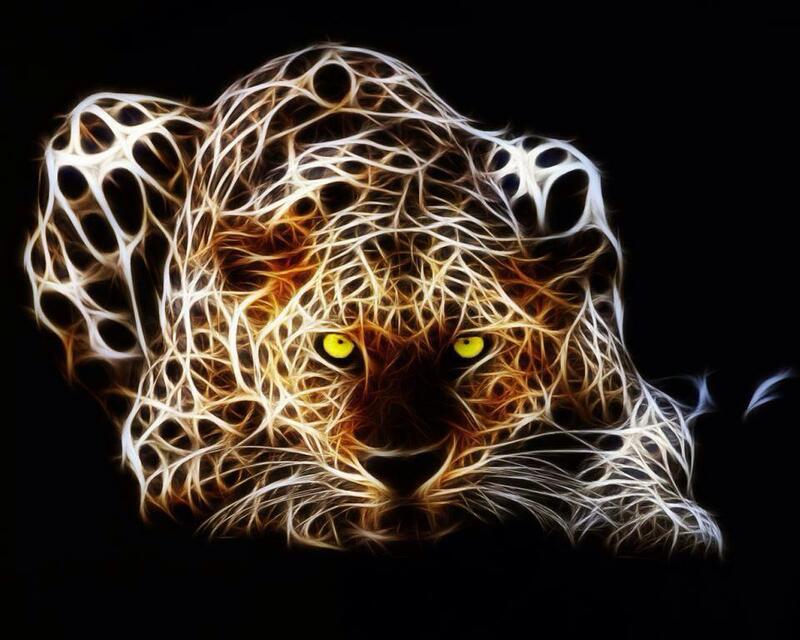 Then, he turns up a very cool illustration of a cat made up of a lattice of light. A theme began to emerge, and I am not one to walk away from a theme. Thus, the concept of elemental beasts was born. Elemental beasts were originally elementals that escaped from their home planes during some long-forgotten catastrophe and made their homes on the Material Plane. Dragons helped with the transition and guided the elementals to take the form of familiar Material creatures, but (of course) this was not altruistic on the dragons' part. They forged an agreement with the emergent elemental beasts whereupon dragons could call upon their assistance whenever they required it. I hope you enjoy this week's entry, and I'll be back next week (probably not with four new creatures, though). Thanks for reading! 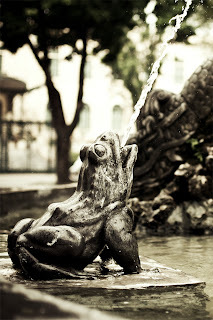 This large stone frog’s skin glistens with some sort of liquid. The creature moves slowly and deliberately. Speed 20 ft., climb 10 ft. Acid Burn (Ex) When a caustic rana bites an opponent or damages an opponent with its acid spray, the foe must succeed at a DC 21 Reflex save or take 1d6 points of acid damage at the start of its turn for 1d6 rounds. This otherwise operates like the burn ability. Acid Spray (Ex) A caustic rana can spray as a standard action, dealing 12d6 damage to all creatures in a 30-foot cone (DC 21 Reflex save for half). The save DC is Constitution-based. All creatures struck by the spray are subject to additional damage from acid burn. As a result of using acid spray, the caustic rana takes 12 points of damage. Hardened Carapace (Ex) Once per day, a caustic rana starting its turn touching earth can take a full-round action to grant itself the benefit of stoneskin (maximum 120 points of damage). This benefit lasts for 6 hours. The smallest of the elemental beasts, a caustic rana has a stony exterior and a juicy (albeit nasty) interior. This earth elemental creature takes the form of a frog and lives in the same swampy preferred by its lookalikes. A caustic rana is still much larger than a typical frog considering its 2-foot diameter size and weight over 100 pounds. A caustic rana is the least overtly aggressive of the elemental beasts and seems content to spend hours sitting in the same spot where it contemplates its surroundings. For those creatures peacefully approaching a caustic rana and discovering a way to communicate with it, the rana provides a wealth of information about its marshy surroundings. Once provoked, though, the creature attempts to bowl over its foes with bull rush attacks and occasionally lets loose with its acid spray, depending on how desperate its situation is. A black or copper dragon may also goad a caustic rana into action in accordance with the pact between dragons and elemental beasts; the dragon usually gathers a few of the creatures to soften up foes or push them into range of its acid breath weapon. As a caustic rana ages it grows incredibly large while its stony carapace softens. When the creature nears the end of its centuries-long lifespan, it finds a suitably swampy location where its shell fully dissolves, allowing its essence to fuse with the earth to create two to four new caustic ranas. A caustic rana that perishes before it reaches its natural lifespan will generate one new rana provided it dies while it is on earth. A lightning mesh forms the image of a tiger that looks ready to pounce. Speed 60 ft., climb 20 ft.
Death Throes (Su) When an electricat dies, it explodes in a ball of lightning that deals 20d6 electricity damage (DC 20 Reflex save for half) to all creatures within a 10-foot radius of the electricat. Several arcs also shoot harmlessly from the ball up to 200 feet away. The save DC is Constitution-based. Lightning Strike (Su) Once per round, as a move action, an electricat can transform itself into an arc of lightning, ranging from 30 to 120 feet in length, which strikes everyone in the line for 12d6 electricity damage (DC 20 Reflex save for half). The cat ends its move at the terminus of the lightning, and it takes 12 points of damage. The save DC is Constitution-based. Recharge (Su) If an attack dealing electricity damage strikes an electricat, the creature gains temporary hit points equal to half the damage dealt. When lightning-infused air elementals sought out a predator to mimic, they discovered a pair of cheetahs bringing down their prey. The elemental beast known as the electricat embodies the speed and grace of large cats and hunts the same plains and deserts they do. A typical electricat is as large as an adult tiger, lion or cheetah, but it weighs almost nothing. Much like the large cat it resembles, an electricat attacks from ambush. It uses its lightning strike ability to catch the most foes its can and terminates the strike next to a creature it can attack immediately afterwards. Blue and bronze dragons rarely employ electricats, since they prove to be too easily distracted and more trouble than they are worth. If a dragon can get an electricat to focus on a task, it aids the creature—while simultaneously harming its foes—using its breath weapon. Seemingly corresponding to an electricat’s short attention span, the creature also has a relatively short lifespan—usually no more than 20 years. As the creature nears the end of its life, it resembles a ball of static more than a cat. If allowed to reach its natural lifespan, an electricat finds a massive thunderstorm to wait under until a large bolt of lightning strikes it, whereupon it explodes harmlessly and releases dozens of smaller strokes that land nearby. Where the smaller arcs strike, one can find a tiny ball that looks like a kitten. This tyranosaurus rex has a hardened shell made of basalt. Its hot breath precedes a lick of flame, and then gouts of magma. Magmic Breath (Ex) A magmasaurus rex can breathe a 60-foot cone of lava that deals 12d6 points of fire damage (DC 21 Reflex save for half) and inflicts 1d6 points of burn (DC 21 Reflex save). This also deals 12 points of damage to the magmasaurus. The save DCs are Constitution-based. The elemental creatures that eventually became magmasaurus rexes emerged in a primeval portion of the world where dinosaurs still roamed and active volcanoes dotted the land. They chose to take the shape of the apex predator in the area: the tyranosaurus rex. A magmasaurus rex stands 10 feet tall and weighs 1 ton. A volatile creature, a magmasaurus rex attacks other creatures with little provocation. Even in a land of terrible reptilian creatures, a magmasaurus rex is reasonably assured of its superiority. Only red dragons and the occasional gold dragon can command a magmasaurus, and they call on them solely for brute force tactics. A group of magmasaurus rexes typically heralds the arrival of a dragon; most people who know about the relationship between elemental beasts and dragons hope (usually in vain) that a gold dragon trails the creatures. A magmasaurus rex has a somewhat modest lifespan of 150 years. When it nears time for the creature to die naturally, it enters an active volcano and rests for the first time in its life. As the creature’s shell melts, its essence merges with the lava in the volcano; when the volcano erupts, it releases a dozen new magmasaurus rexes throughout the neighboring area. Even the essence of a magmasaurus that perishes before its natural lifespan will find its way to the nearest volcano, sometimes taking decades depending on the creature’s distance from one. This creature looks like an enormous mastodon with tusks made of ice, but it also has some ursine features and a wicked, ice-barbed tail. 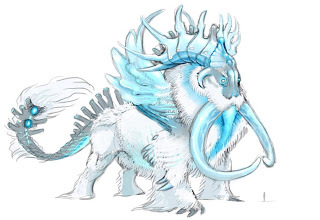 Speed 50 ft., burrow 20 ft., swim 20 ft.
Arctic Blast (Ex) An iljanne karhu can spray a 30-foot cone of needlelike ice shards that deals 9d6 points of cold damage and 6d6 points of piercing damage (DC 21 Reflex save for half). 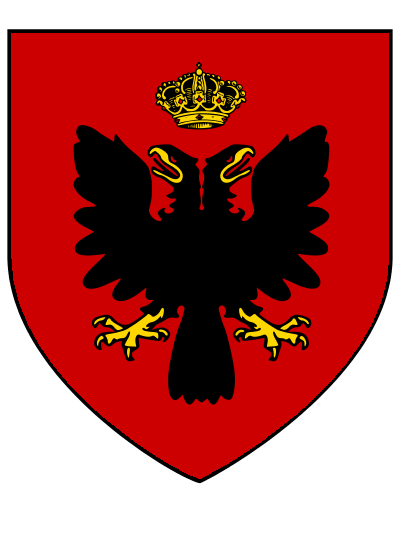 This also deals 15 points of damage to the iljanne karhu. The save DC is Constitution-based. Stun (Ex) Any creature taking cold damage from an iljanne karhu’s attacks (including its arctic blast) must succeed at a DC 21 Fortitude save to avoid becoming stunned for 1 round due to the numbing cold. The largest and most bizarre elemental beast (at least in an aesthetic sense), an iljanne karhu seemingly resulted from the visiting water elementals’ indecision between a wooly mammoth and a polar bear as its template. The resulting creature has the most terrifying aspects of both and seems content to be the alpha predator in its habitat. The creature stands 15 feet tall and weighs 5 tons. An iljanne karhu uses its natural camouflage to hide from prey and foes alike. It prefers to emerge from hiding in a charge that it intends to use to flatten the nearest victim. 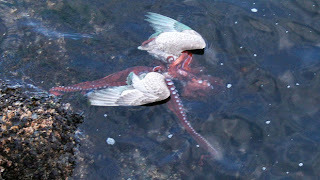 It also enjoys taking foes by surprise from underneath the ice-encrusted surface of large bodies of water. It breaks through the ice, potentially knocking opponents into the water where it can usually out-swim them and attack at its leisure—or wait for its victims to drown. Even with the pact between dragons and elemental beasts, an iljanne karhu will only follow a white dragon’s lead if the dragon proves its superiority. Most often, the two creatures fight each other when they meet. Silver dragons command an iljanne karhu’s respect, but they rarely make use of one. An iljanne karhu has an extremely long lifespan—approaching one millennium. A dying iljanne karhu makes a pilgrimage to one of the world’s poles at the dead of winter and dies alone. A decade later, the creature’s essence gives rise to 5-10 juvenile iljanne karhus. If an iljanne karhu dies before it can make this pilgrimage, its essence still gets carried on the winds and in the water until it reaches a pole, thus delaying the process by another couple decades.